Chinch bugs are small pests that can damage your lawn, leaving patches of dry, dead grass throughout your turf. If you have chinch bugs, read the rest of this guide to learn how to get rid of these grass-destroying critters. Not sure if you have chinch bugs? 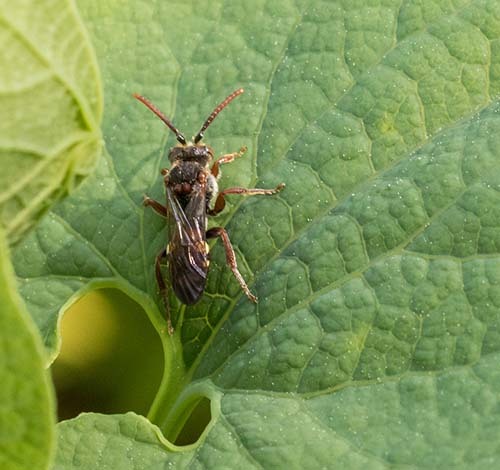 Read our guide on what chinch bugs look like for more information. Treating your lawn with an insecticide labeled for chinch bugs is the best way to get rid of the bugs. Chinch bugs mature quickly, so it is important to apply an insecticide treatment as soon as possible. 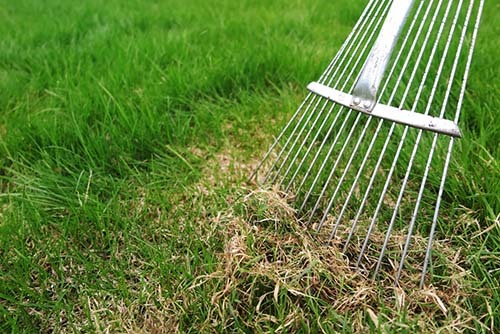 Remove as much thatch and overgrowth from your lawn as possible so that the turf is exposed. This will ensure your insecticide reaches the chinch bugs. Select an insecticide labeled for chinch bugs, such as Talstar P. The insecticide can be in either liquid or granule form, whichever you prefer. 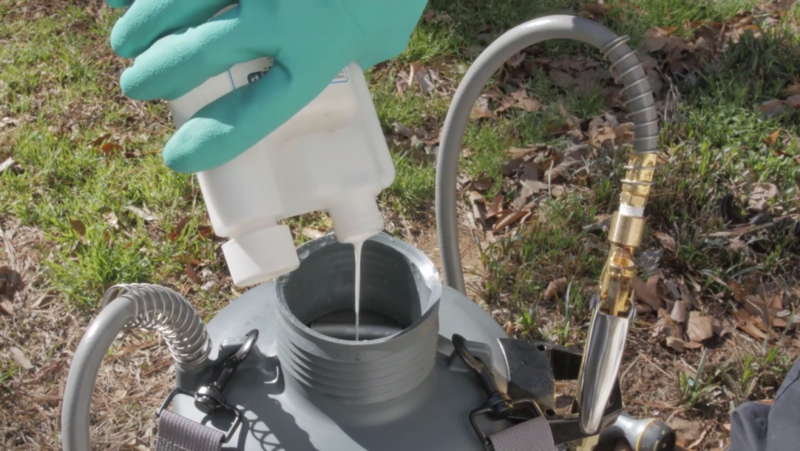 If you choose to use a liquid insecticide, you will need to mix it with water in a sprayer before applying. Read the product label to determine your product to water ratio and shake the sprayer thoroughly to combine. If you are using a granular insecticide, read the product label to determine the setting needed for your granule spreader. Apply your insecticide across your entire lawn. If using a liquid insecticide, broadcast spray all of your lawn turf, starting from the edges of your lawn and working your way in. If using a granular insecticide, walk the entirety of your turf with your spreader. Be sure to double back to your starting point to make sure you treat all grass. You may need to water your granular insecticide after application. Read the label of your insecticide to determine if water is needed. Watch the video below for more information on using insecticide on chinch bugs. Chinch bugs are another one of those lawn pests that can take over and kill a yard very quickly. In this video we will give you the basic tips on how to get rid of chinch bugs to keep your yard alive and thriving. Chinch bugs can destroy a lawn in a short amount of time left alone. Once you know you have them, you should begin treating immediately. Prior to the insecticide application remove any excess thatch so products can reach where chinch bugs are feeding. Instead of spot treating in the damaged areas, broadcast spray over the entire lawn. Start on the edge and work your way in. Applying in early summer will help kill the active nymphs before they mature into adults. Chinch bugs mate quickly so the population can grow very fast. Killing them early will help prevent damage to your lawn later. If you live in an area with a lot of chinch bug activity you may have to re-apply in spring and fall to keep the population at manageable levels. Be sure to choose a product that is labeled for chinch bugs. These products are available in liquid and granule formulations. You should choose the formulation that is easiest for you to apply . Most products will require you to water in the application with a quarter or half inch of water. This will allow the product to get down to the insects. As always, refer to the product label for full application instructions. And it’s that easy with the expert help from Do My Own Pest Control dot com! Subscribe to our channel for more DIY and product videos! 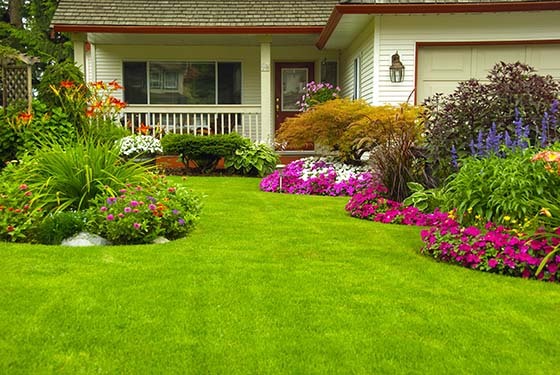 In chinch bug treatment and prevention, it is helpful to maintain a healthy lawn. A healthy lawn can better fend off any infestation of chinch bugs and other pests and lawn disease. A healthy lawn will also respond better to insecticide treatments. Learn how to prevent a chinch bug reinfestation in the final part of our chinch bug guide. Click the right arrow below to read more. 428 of 453 people found this article informative and helpful.